You most likely already use Google Calendar or Microsoft Outlook as a K-12 school administrator or public employee. Google and Microsoft applications include a lot of useful functionality for schools and government often at little to no charge. But just because it’s included in your organization’s existing software bundle doesn’t mean it works in every situation. Facility and event scheduling are some of the situations when Google and Microsoft calendars perform poorly. 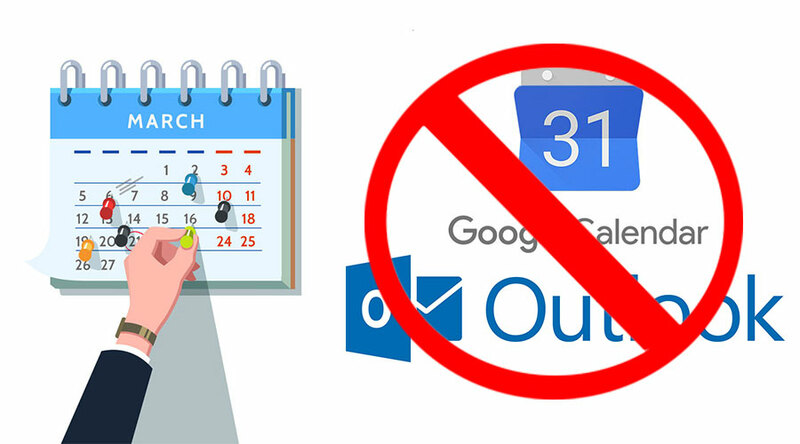 Resource calendars (or room calendars) in Google Calendar and Microsoft Outlook are useful for scheduling rooms for internal meetings. But as soon as you start managing multiple facilities you must navigate dozens of calendars, in the case of Google Calendar, versus having such resources visible and available all on one combined calendar. Microsoft Outlook makes it a little easier with Scheduling Assistant but those with more than a few rooms will find themselves checking and unchecking a lot of boxes. Other free facility or resource calendaring alternatives are available which allow you to search and reserve multiple facilities on a single calendar view. Conflicts are all in the same view. Filter your calendar to view specific locations or types of facilities. Built-in facility availability search features also allow you to search only available facilities at the selected time. Busy organizations only using Google Calendar may have to guess and have users spend far too long checking multiple event times in order to find a match. And those that still need to use their Google Calendars can easily link them to the main calendar view. Scheduling rooms for internal meetings and inviting company employees is convenient in Google Calendar and Microsoft Outlook. However, the process is disjointed when making calendar time slots available for anyone (i.e., off-campus public users) and when accepting any external reservation request. Some schools have created a separate registration process to gather information and screen requests. Many turn to 3rd-party online form builders, like Google Forms, that require manual review and approval. Receiving and reviewing essential information such as proof of insurance is often crucial before reserving facility calendar time slots. Check out a free solution which integrates the entire process into one tool. Public requests for reservations can be required to upload files such as proof of insurance forms requiring requestors to submit all required information before being approved for facility use (see image below). Your best option also allows user-assigned roles to approve various stages of the reservation process. For example, perhaps an individual administrator must approve the requested registration time but another must approve the submitted liability information is adequate before that time slot is officially reserved. Management can also audit who signed-off on these stages of approval and when. This ensures more accountable facility stewardship and effective conflict resolution. Much like managing multiple rooms in Google Calendar or Microsoft Outlook, equipment must be added as a resource and reserved on a completely separate calendar along with your room or facility reservation. With a dedicated facility reservation solution, requestors are able to reserve equipment like tables, chairs or a projector as part of the actual facility reservation. Have multiple quantities of chairs and tables available? The system will intelligently reserve the amount requested leaving the remaining quantity available for others to reserve at that location. You and the system will know exactly how many of each item is being used and when. The best option is to use a solution which is designed and dedicated for this purpose, and which is free to use. 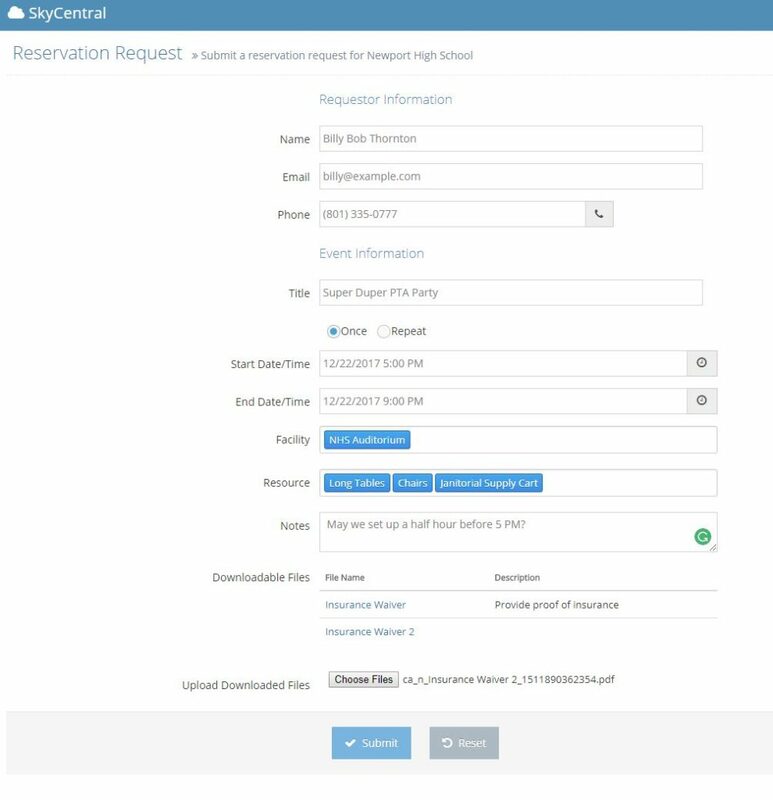 That means you can manage facility scheduling at a high school and elementary school and everything therein, like fields, gyms, cafeterias, auditoriums and classrooms with a solution designed for that purpose, and which is completely free! And because Google isn’t going away soon, your solution will also integrate with Google Calendar allowing you to link your calendars and view them alongside your sophisticated reservations. Don’t merely tolerate the startling drawbacks with using Google Calendar or MS Outlook. You can still use your existing platform and also use a free, specifically-designed solution for the complex calendaring you need. The best of both worlds is right here!